This tropical pairing is the perfect match. 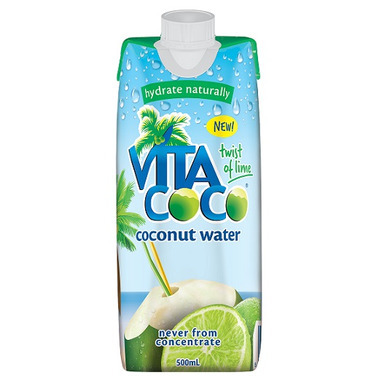 With less added fruit juice than their standard flavours, it has just the right hint of lime combined with the pure coconut water taste you love. Ingredients: Coconut Water, Lime Juice.